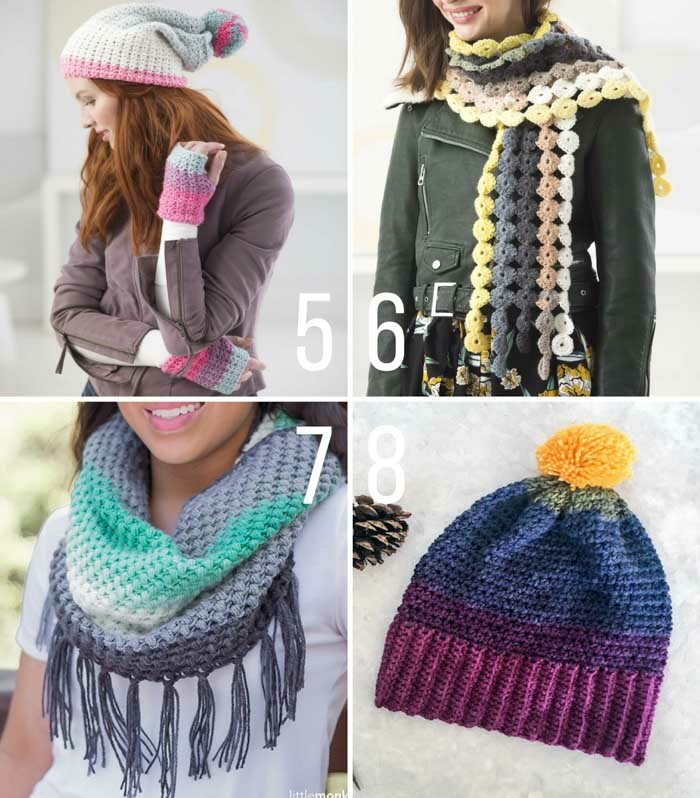 This collection of Lion Brand Mandala yarn free crochet patterns includes beanies, scarves, blankets, sweaters, mittens and more! Go ahead and paint your world colorful with this magical self-striping yarn! 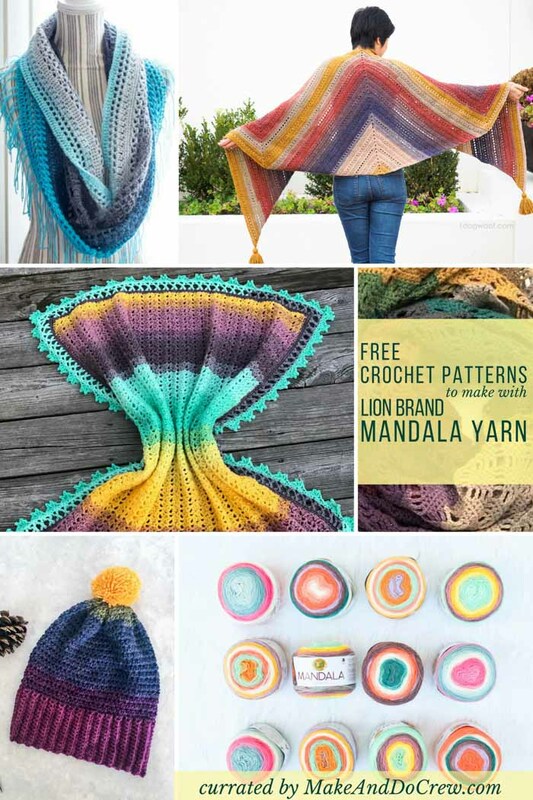 This collection of Mandala yarn free crochet patterns is part of an ongoing collaboration with my friends at Lion Brand Yarn. This post contains affiliate links. 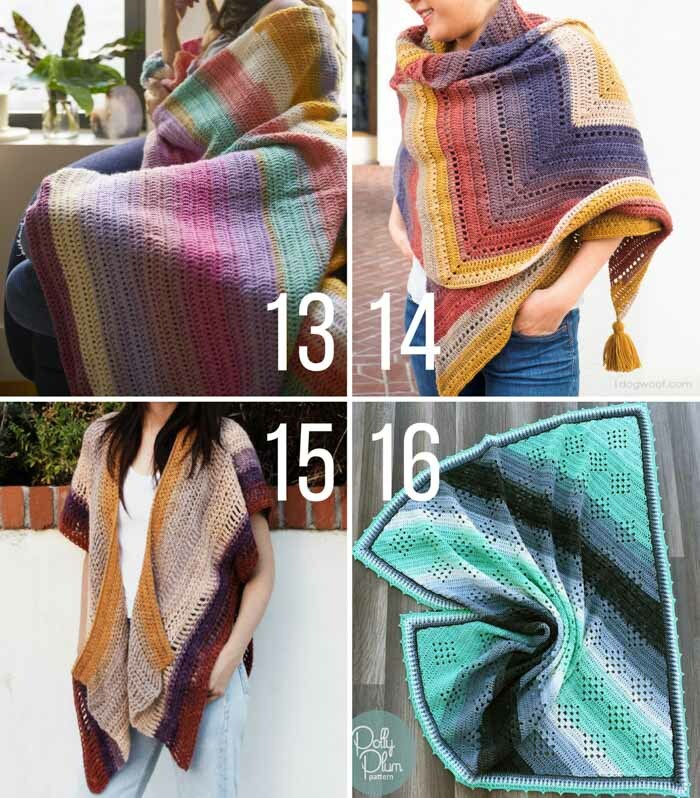 Ever since Lion Brand debuted Mandala yarn last year, I’ve loved seeing all the free crochet patterns people are designing with it. All the magical colors and combinations are just such an invitation to dream about a new project, aren’t they? What to make with Lion Brand Mandala yarn? What I love about this yarn besides the magical way it creates stripes with zero ends to weave in is that it’s slightly thinner than a worsted weight yarn (category 3/dk), so you get a lot more yardage in one skein. About 590 yards! That’s enough yarn to make and entire shawl or scarf with one simple ball of yarn. It also means you can hold a few strands together to make create really interesting color effects. 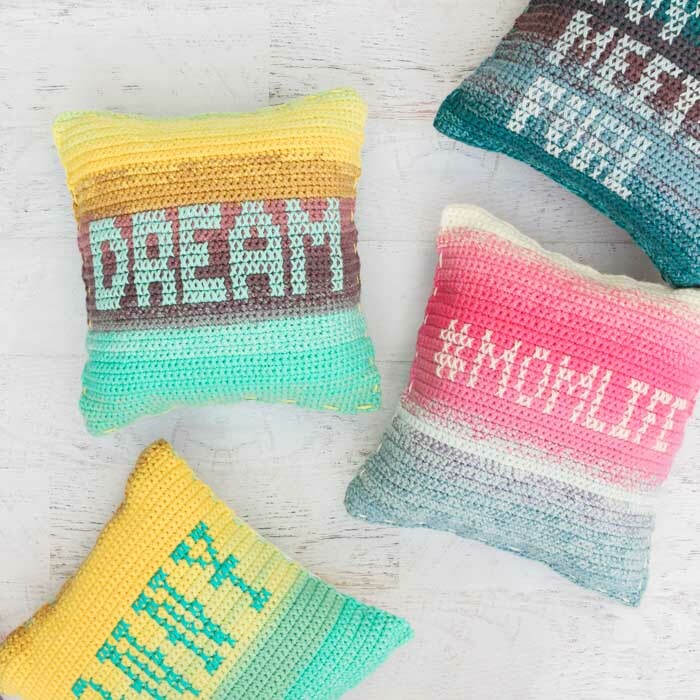 My mom and I used three strands Mandala yarn held together to make these cross-stitch-style pillows last summer. Isn’t it cool how the ombre effect is accentuated by holding multiple strands together? 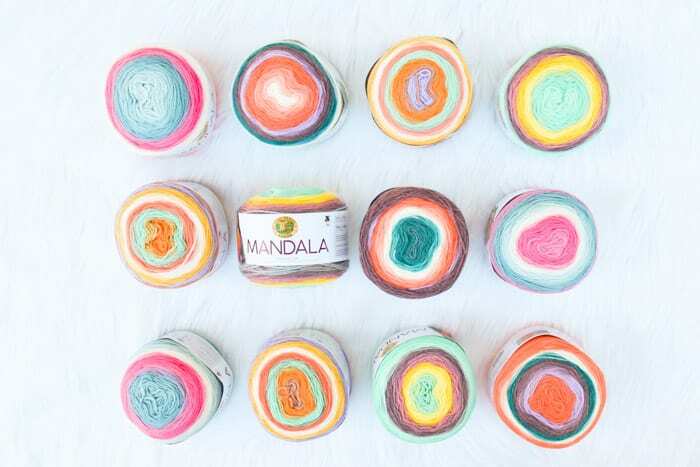 As if that’s not enough eye candy, there are even MORE colors in the new baby line of Mandala yarn! I think Echo Caves is gorgeous and so sophisticated for a “baby” yarn. Also, if you love Mandala as much as I do, you might like to join this Facebook group where people share and discuss crochet and knit patterns that can be made with Mandala yarn. I’m not affiliated with this group, but I am a member of it and I’m thrilled that it exists for Mandala yarn lovers like us! Okay! 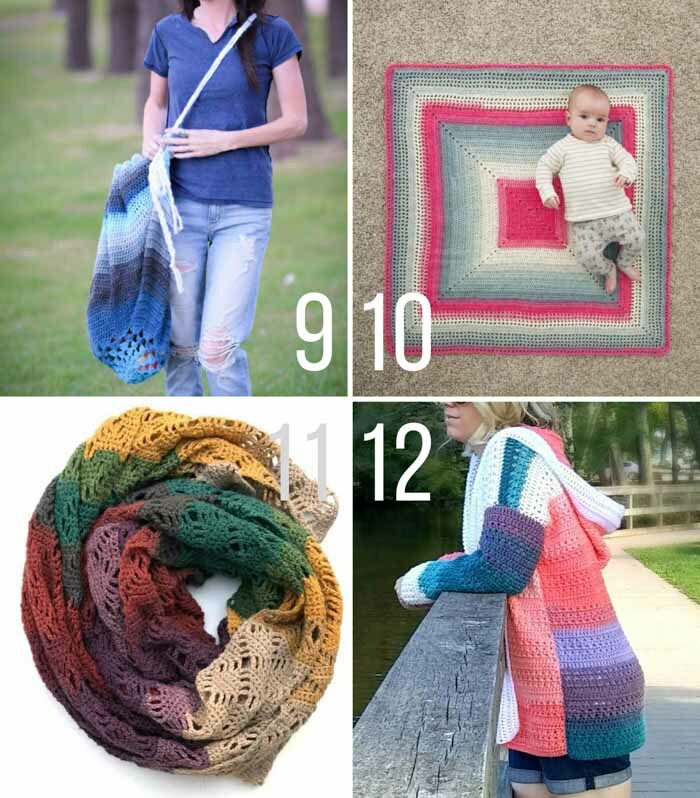 Now onto the free crochet patterns to make with Mandala yarn! 1. 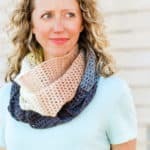 The Madeline Crochet Triangle Scarf by Ginger Knots – Simplicity is the name of the game when it comes to the Madeline Crochet Triangle Scarf by Ginger Knots. Using one skein of Mandala yarn and the moss stitch, this is an ideal pattern for beginners, especially because it includes a video tutorial. 2. The Orchid Lace Baby Blanket by Crocheting Crazy – I love how cheerful this Mandala baby blanket pattern is. And the border! Isn’t it stunning? You can see this baby blanket worked in Mandala yarn here and get the free crochet pattern here. 3. The Crunching Leaves Mod Crochet Scarf by Left in Knots – Grab your Mandala yarn, crochet hook, and pumpkin spice latte! This Mod Crochet Scarf by Left in Knots uses the star stitch and the Mandala “Centaur” colorway to create a beautiful not-too-thick, not-too-thin triangle scarf. The warm colors will have you waiting for a cool day to play in the leaves. 4. The Crochet Mandala Cowl by Crafty Tutorials – The lightweight Mandala yarn and elegant fringe adds to a beautiful drape and texture on this free Mandala yarn crochet cowl. The cool tones of the Mandala “Mermaid” colorway will leave you daydreaming of sandy beaches and ocean mist. 5. 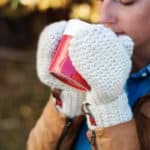 The Crochet Hat and Mitts by Lion Brand – Whip up two crochet projects for the price of one! All you need is one skein of Mandala yarn to make this adorable matching hat and mitts set. 6. The Crochet Motif Scarf by Lion Brand – The unique construction of this Crochet Motif Scarf by Lion Brand is perfectly suited for the self-striping Mandala yarn. 7. The Spring Bean Crochet Cowl by Little Monkeys Crochet – This Spring Bean Crochet Cowl by Little Monkeys Crochet has me in the mood for some mint ice cream! I love how the simple texture, created by the bean stitch, shows off the calming colors of the “Genie” Mandala yarn. This is a surprisingly easy pattern. 8. The Crochet Chroma Hat by Left in Knots – The simple Crochet Chroma Hat will be your next go-to free hat pattern. The basic pattern works up quickly and is easily adjustable for different sizes. 10. The Crochet Whitby Baby Blanket by Lion Brand – This easy crochet baby blanket has a clean, geometric look and is worked in one piece. The best part is you can choose any Mandala yarn colorway to personalize the blanket for the the little recipient. 11. 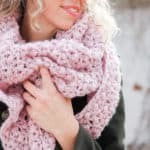 The Wrap Me in Diamonds Crochet Scarf by Stitching Together – Who knew that single crochet and double crochet could create such an elegant scarf? The diamond lace stitch does just that in this beautiful crochet scarf by Stitching Together. 12. The Colorblock Crochet Cardigan by Croyden Crochet – The vibrant colors of the “Pegasus” Mandala colorway make this Colorblock Crochet Cardigan one of most fun alliterations you’ll ever make. 13. The Beginner’s Delight Crochet Afghan by Lion Brand – This afghan has surprisingly few ends to weave in thanks to the self-striping Mandala yarn and should be a cheerful staple on everyone’s couch. 14. The Adirondack Crochet Wrap by 1 Dog Woof – Calling all geometry lovers! This amazing Adirondack Crochet Wrap by 1 Dog Woof is created by connecting three large triangles to form a trapezoid. Wear it as a wrap or as a scarf–you won’t need a math degree to make this simple shawl pattern. 15. The Swallowtail Crochet Cardigan by Two of Wands – The construction of this cardigan is based on two simple panels. If you can crochet a rectangle, you can make this crochet cardigan pattern! 16. The Granny in the Sky With Diamonds Crochet Baby Blanket by Polly Plum (PAID PATTERN) – While this Mandala crochet pattern isn’t free, I just had to include it because I think it’s such a beautiful and delicate use of this yarn. And you can make it with only three cakes of Mandala! If you’ve never tried Mandala yarn, hop over to LionBrand.com to see what you’re missing! 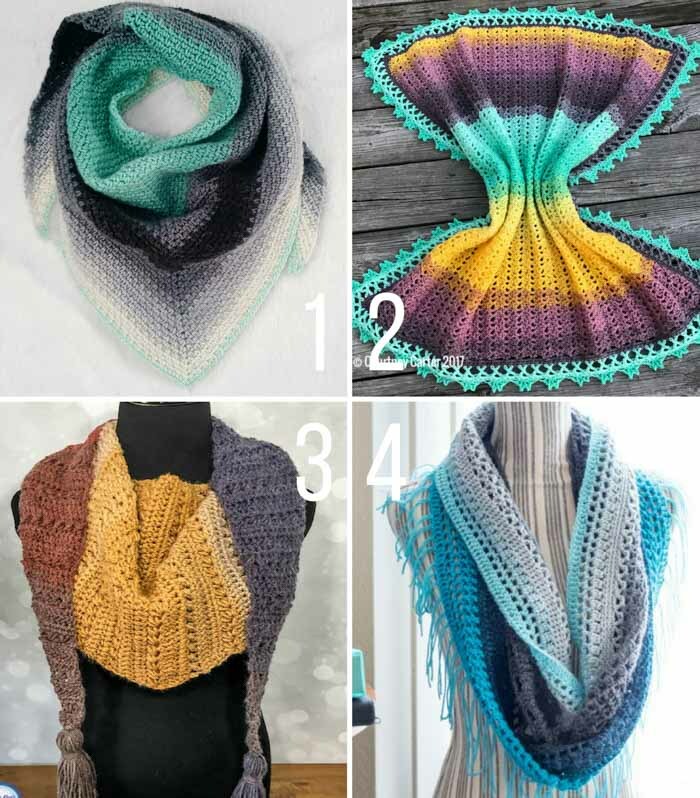 Then pin this post for later so you have all the inspiration needed to start your next free crochet pattern using Mandala yarn! 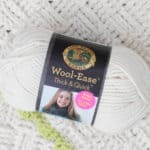 I have used this yarn for a double sided blanket. I have used colors that are my husband’s favorite for one side and my favorite co!or’s for the other. I love this yarn!!! That sounds gorgeous! What is a double sided blanket? I’m not sure I’ve seen one. What a fun his and hers project though! I have only done it in single crochet. The result is twice as thick as a normal afghan worked in single crochet. As a result, it also uses twice as much yarn. Row 1: work SC all the way across in Color A. Row 2: Work SC all the way across using Color B, in back loops only. Row 3: Change colors again and then work SC all the way across, using back loops, and the unused loop from previous row of same color. Keep working Row 3 till the length you want. This same pattern, when worked in a solid color of #10 granny cotton and a size 7 steel hook, makes a good strong, long lasting fabric for purses, or at the very least, purse handles, which come out like flat rope. Those pillows are adorable! Are they just single crochets with the cross stitch on top? Yes! They are! 🙂 And thank you! Where do I click to see the patterns themselves? All I see is your post of pictures for them. I have so much trouble trying to set up an account with you crochet site , why? You should make it easier for senior citizens, thanks. Once you’re in the Vault, scroll to the photo of the project you’re looking for and click the link directly below the photo to access the PDF. (The link below that takes you back to the tutorial with the full photos in case you want to reference them while you work.) Once you open the PDF in your internet browser, you can right click to download it. These patterns are all lovely (fellow Mandala lover here!) , but I’m most obsessed with the pillows you made!! Any chance you’ll be releasing a pattern for those bad boys anytime soon? I haven’t written the pattern up for those yet, but it’s basically three strands of Mandala held together to work tight single crochet. We cut out sections of the color so that each color could be represented in the pillow. 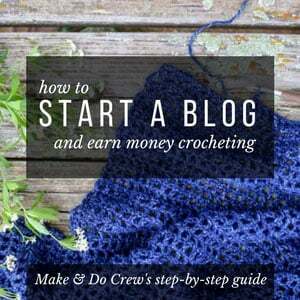 Purl Bee blog has a great tutorial on cross stitching on crochet too if you’d like to add that part. That is a lot of patterns! I do love yarn that does some of the hard work for you. Thanks for all the inspiration. On one of the patterns I was reading through on here and the comments posted from other crocheters, some were wondering where to purchase the Mandala yarn. Some said they had found it at some WalMart stores. I went looking for it today and Voila’ WalMart (super store) has loads of it. I love it. I do not have a Michaels nearby so I was sad that I would have to travel to get it. Thank you Walmart for carrying it. Just letting other people know about this. Thank you. Our Michael’s and regular WalMart carry it here in Texas. I’ve noticed that they don’t all carry the same variety, but you take what you can get!